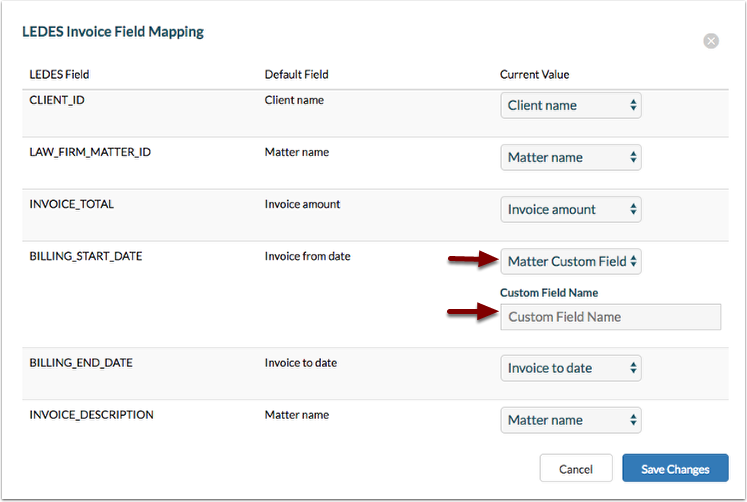 Rocket Matter Knowledge Base Insurance Defense Package - LEDES Billing- NEW!How to configure LEDES Invoice Field Mapping for a specific client. 1. 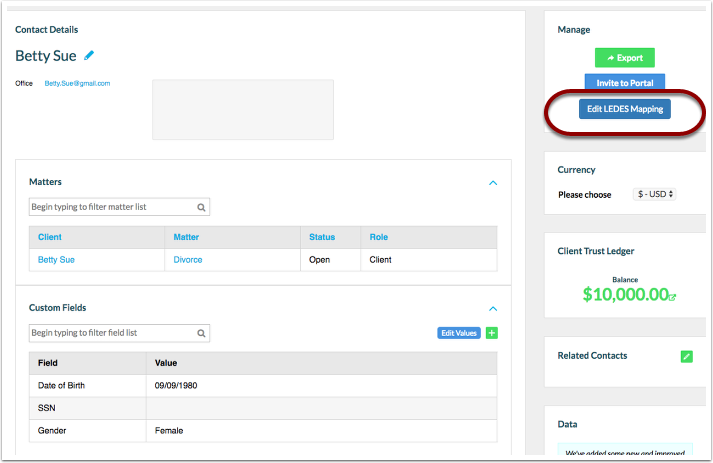 Once LEDES has been enabled, use the global search to search for the client's contact record you'd like to specify field mappings for. 2. Click to 'Edit LEDES mapping' for this client and all of the clients matters. 3. To customize your LEDES fields for this client, change the 'Current Values' to the appropriate field. 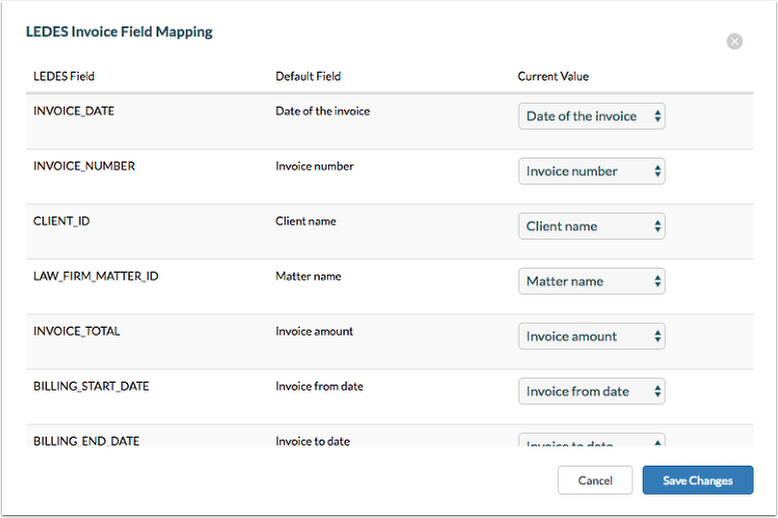 Prev: How to configure LEDES Invoice Field Mapping for all clients and matters. Next: How to assign Timekeeper ID's to a user.